The character played by Varalaxmi Sarathkumar, which could be of an IAS officer in the film, describes Vijay’s character as a corporate monster. He could perhaps be a takeover specialist, a person companies hire during hostile company takeovers, yet his return to India from Las Vegas, is not official work. He says he’s simply back to cast his vote. 2) Keerthi Suresh works in election commission? The character played by Keerthi Suresh, could be that of a government employee, working in the election booth to ensure smooth and fair voting. But is it smooth? Someone else seems to have voted using Vijay’s ballot. Is his ensuing rage a result of that? Radha Ravi could be the politician responsible for the rigging of the voting machines or the entire election process. The truck full of cash shown later, could belong to him, which he might have set aside to buy votes. There’s plenty of shots describing a people’s movement being set off by Vijay’s character. Self immolation, a protest on bikes, a march on the bridge, lathi charges and more. 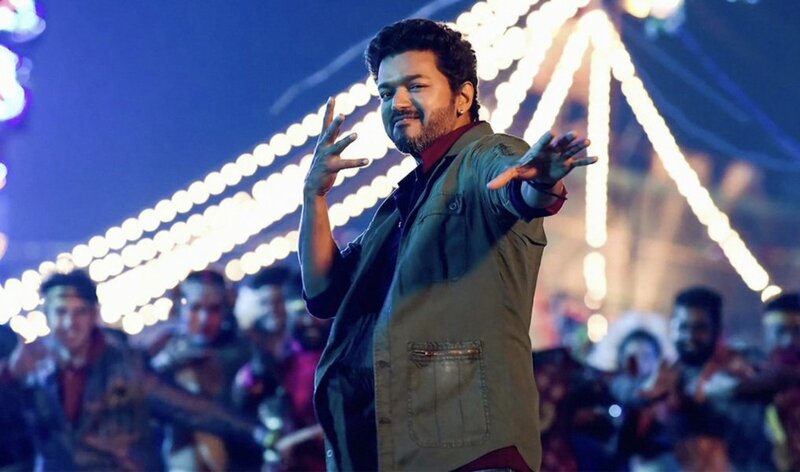 Though Vijay’s films make political statements in the form of a dialogue or two, Sarkar looks like the actor’s first full fledged political film, that takes on corrupt practices and issues we’re seeing around the country. Could Sarkar be the perfect launch vehicle for Vijay, the politician? Judging by the teaser, the film’s theme and his rousing speech during the film’s audio launch, it looks like it’s not just Rajini and a Kamal who have tossed their hats into the potical ring. Sarkar is Vijay’s third film with AR Murugadoss, after super hits Thuppakki and Kaththi. The film, which has music by AR Rahman, will release on November 6, Diwali day.